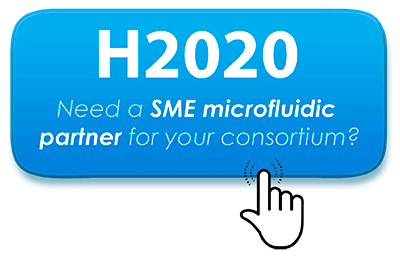 HOW TO CHOOSE THE RIGHT PHOTOMASK TO FABRICATE YOUR SU-8 MICROFLUIDIC MOLD? 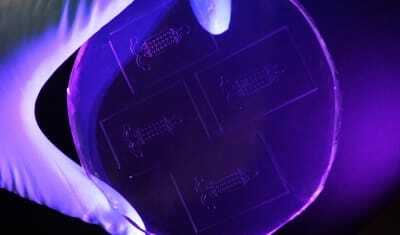 There are several ways to imprint a pattern on a photoresist. 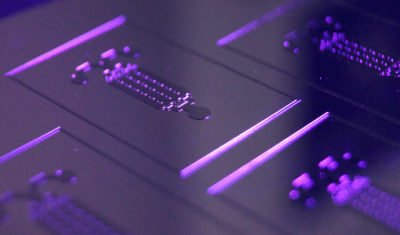 It’s possible to directly write on the photoresist with a microfabrication tool such as a laser for example but the most used method is to imprint the pattern thanks to a photolithography process. 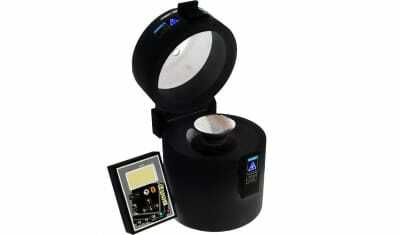 The exposure aim is to activate a photoactive component (PAC) inside the resin in some particular parts. This activation will change the local solubility proprieties of the resin that will become soluble or not in a developer. The photoresist is called positive if the exposed parts are developed and negative if it’s the non-exposed ones (like SU-8). Basically, there are two kind of photomasks, one called “hard” made in quartz or borosilicate glass and one called “soft” made in soft plastic, PET for example. 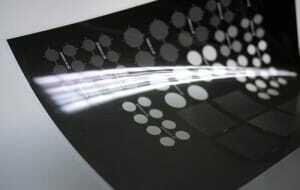 Need an advice to choose your photomask ? It is the most used in microelectronic, the glass or quartz is covered by a thin layer of chrome and by resin. 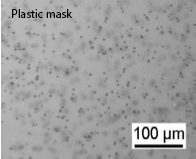 This resin is attacked thanks to a laser that is going to define the resolution possible for the mask (basically ~ 1µm). The chrome is thus free of resin and can be attacked by a solution. The entire resin is then removed. The parts where the chrome have been attacked will let pass the UV trough the glass/quartz. 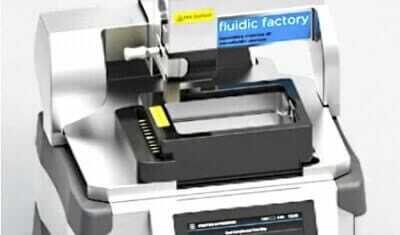 The hard mask is clearly the most used option in SU-8 microfluidic mold fabrication but it is the most expensive . 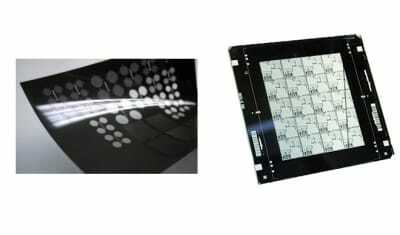 However it has a lot of advantages, it’s solvent resistant and can be easily cleaned, it enables to have a really good resolution (~2µm) and the glass transparency is near to 99% for the application. The idea is to print the pattern on a transparent and soft plastic film. 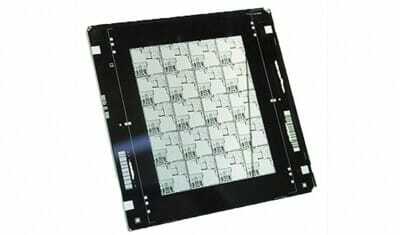 There is not only one-way to do a plastic photomask, as there is not only one-way to imprint. 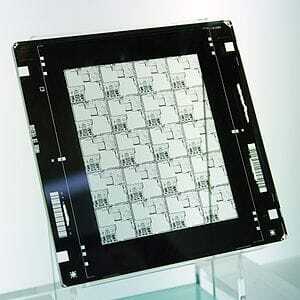 The resolution of the photomask is the same of the printer and classically around 10µm. There are several kind of soft photomask, according to the printer equipment with all the price range from 5 to 100 euros. 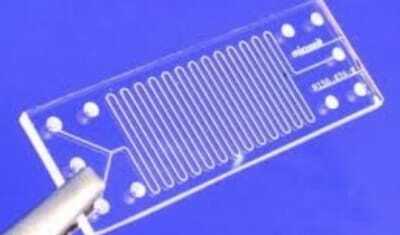 And even if, generally, the maximum resolution is around 5 µm, it’s fair enough for 90% of the microfluidic applications. 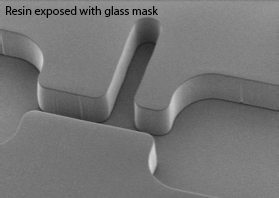 The transparency of the photomask is not perfect and really less than the glass one for example. 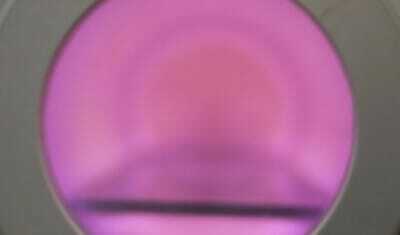 This transparency decrease is because of the defects present on the surface of the photomask. The diminution’s absorption coefficient is about 10% of the UV light; this loss has to be compensated with a longer exposure time. 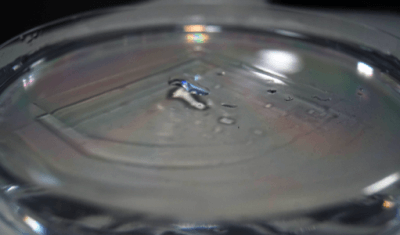 These defects are also present on the SU-8 photoresist but only on the surface, with no risks on the final device. We can also talk about the irregularity of the walls because of the soft photomasks, this defects have to be taken in account because they can be harmful for some applications. 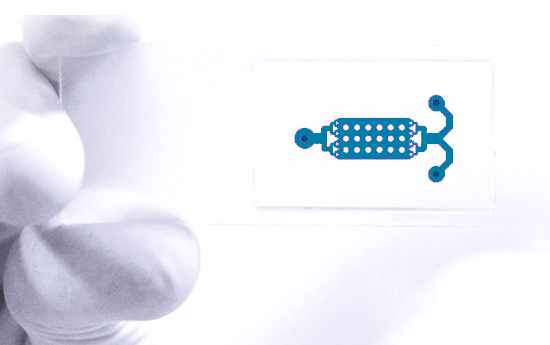 The soft photomask remains the most economic option, faster and easier to make. Here, where a hard might take more than one week to be done (depending on the equipment “occupation”), a soft photomask is done under a day and at really lower price. 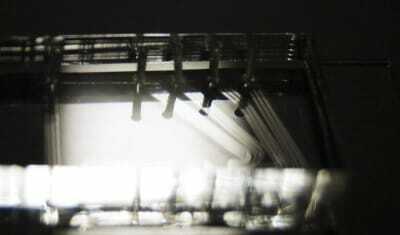 To ensure a good contact during exposure you should press the soft photomask on your substrate using a glass plate. Be careful, the patterns are printed on one of both face of your photomask, the side with the pattern has to be the side in contact with your wafer during the exposure. 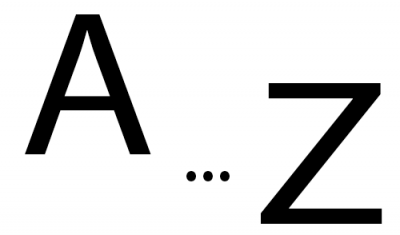 The physical properties of the mask can change with the ambiant conditions, and namely with four parameters. Most materials expand with increasing temperatures, and films and glass photolithographic masks are no exception to that rule. The dimensions of all masks in use today change with changing temperatures. The expansion is determined by CT, the thermal expansion coefficient. CT is a basic characteristic of a material; it is expressed in mm per metre per degree Centigrade. 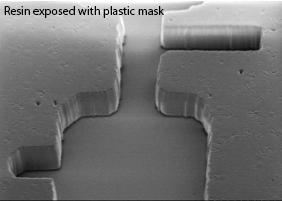 A film photolithographic mask adapts to changes in temperature within a few minutes but temperatures of < -20 deg C and > 60 deg C will cause damages to the film. Always put the film photolithographic mask at the room temperature before use (keep in mind that a constant temperature around 21 deg C is perfect). A Soda Lime photolithographic mask is 2x more stable than a film photo-mask and a Quartz photolithographic mask will not move with temperature. Polyester film absorbs water and thus expands with increasing relative humidity. The expansion is determined by the CRH (relative humidity expansion coefficient). CRH is expressed in µm per metre per % change in relative humidity. If the CRH of a material is 1, one metre of that material will expand 1µm when the relative humidity increases by 1 %. 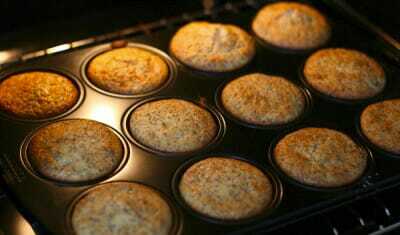 Likewise the material will shrink as the relative humidity decreases. A film photolithographic mask adapts to changes in temperature humidity within a few hours and a humidity of 70% will cause irreversible changes. A Soda Lime photolithographic mask will NOT change with humidity neither a Quartz photolithography mask. Please note: Humidity distribution in a room is rarely homogenous – that means it can change from area to area, and from corner to corner. It is vital if you are trying to control the humidity environment to ensure that air flow is constant throughout the WHOLE room. 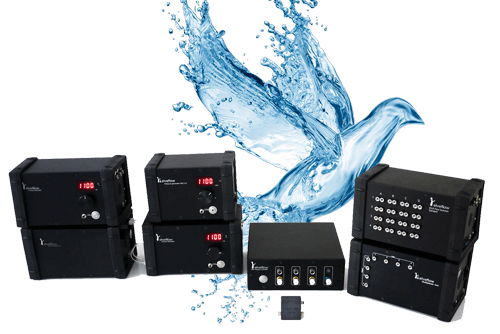 Because humidity is probably the hardest of these 4 factors to control adequately – and also has the biggest influence on dimensional changes – glass photolithographic masks would always be the recommended product if you need to control the accuracy of the mask to critical dimensions. The expansion is determined by the elasticity modulus, which is typical of the material. If the tension does not exceed a certain value, all changes will be reversible. In general, if the photolithographic mask is subjected to only limited mechanical tensions, no irreversible dimensional changes will occur. However, photolithographic masks do suffer from mechanical tensions induced by some contact exposure equipment and the vacuum applied in the printer. The dimensional changes will be limited when the vacuum is gently built up all over the surface of the photolithographic mask. When a film is secured by a very strong vacuum, that vacuum may hold the film, preventing it from changing size in response to changes in temperature or humidity. 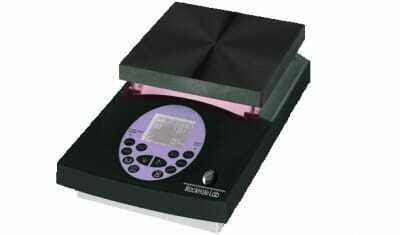 Although the temperature of the film changes, the size should remain constant for as long as the vacuum is applied. Once the vacuum is released, the film size will change instantly. The size of silver halide masks may change with aging. Over time, there is a tendency for the film to change back to the initial size it was prior to processing. These changes can take several months, and are relatively small, but this gives another reason why it is critical to control and maintain the processing conditions.